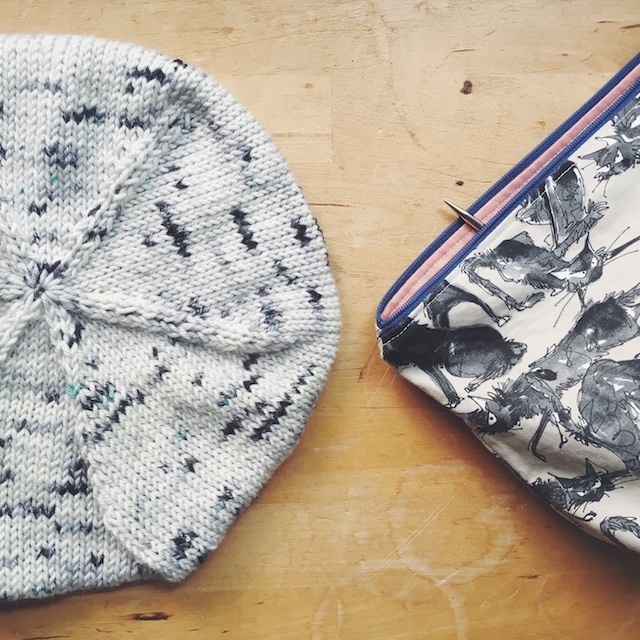 The Dresden Beret, from Tara-Lynn of Good Night, Day is destined to be my favorite winter hat. I have a lot of hats, so that's saying something. I loved working up a no-frills, clean beret. 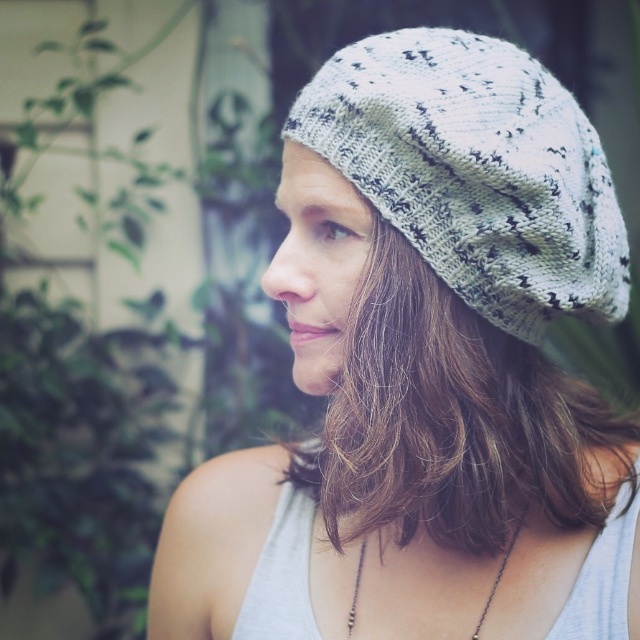 It's a type of hat I have never knit before. 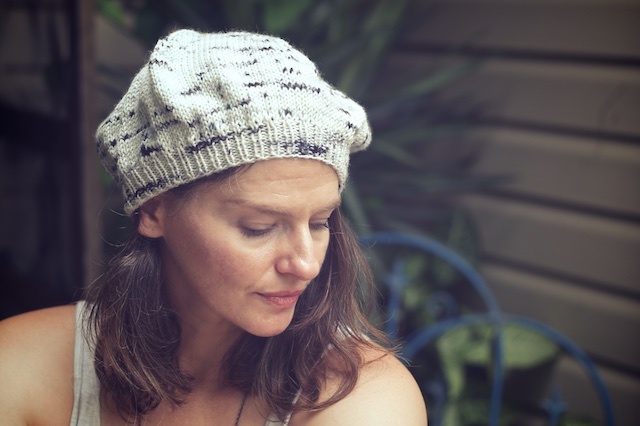 I can see making one or two of these as gifts because they don't require the same amount of fabric that slouchy beanies of years past have. This is a one evening knit, and that's very satisfying. I actually scored a skein of Junkyarn for this. I think the only reason I got it was because it is dk. 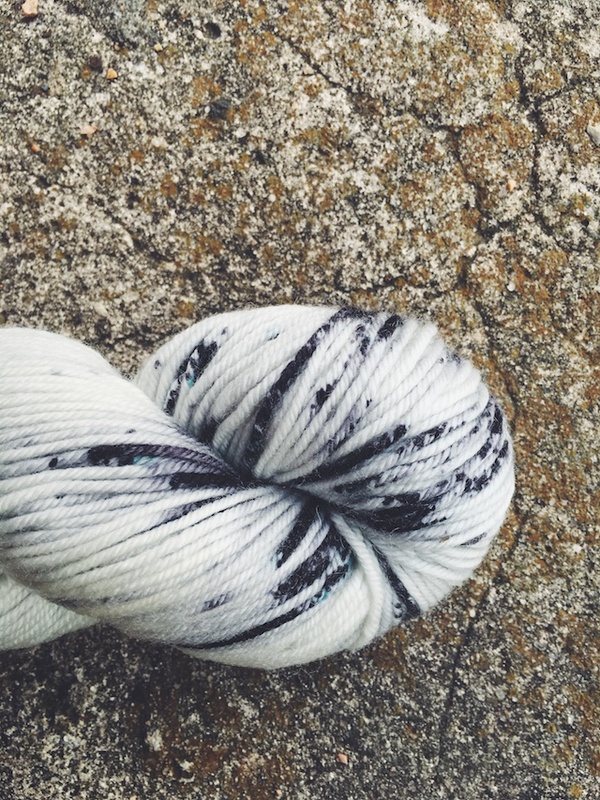 These days, shopping for sock yarn from indie dyers is like shopping the yearly Victoria's Secret clearance sale. When I walk past that store and see all of those little pink bins on tables, I steer clear. It's crowded, hands are grabbing and rifling through $5 bins, women muscling each other out of the way, underwear flying about. I don't go for that kind of thing, so I was shocked to find this still in stock well after the update. This skein of Diana had very few hints of the turquoise that most skeins seemed to have plenty of. I was disappointed at first, but it worked out since I was aiming for simplicity. It is more versatile this way. 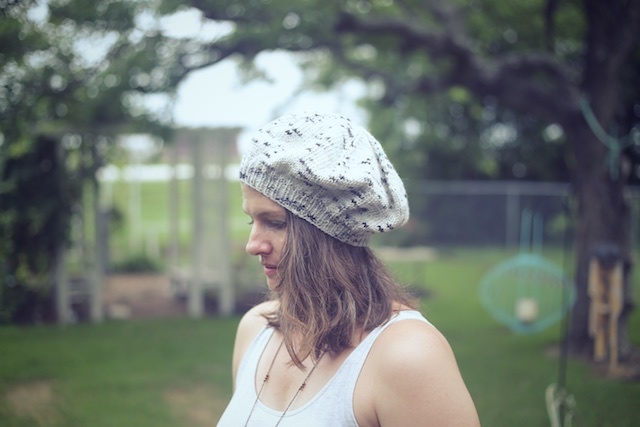 Details: I used needle sizes US 3 and 7 for this hat, with Junkyarn dk yarn in Diana. I have very real issues with ribbing, so I go down a lot on needle size for that portion. 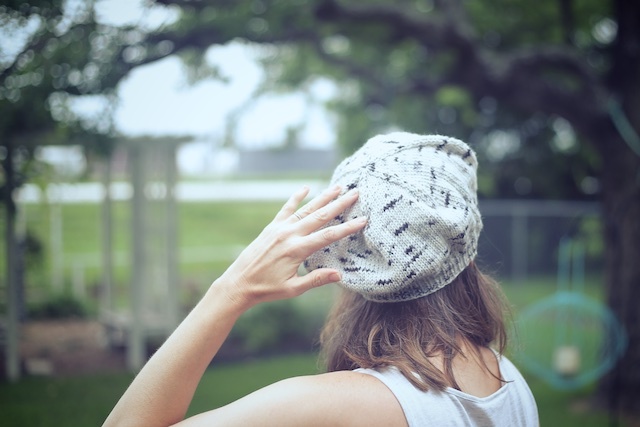 The bulk of the hat was knit on the 7s. I also knit maybe a half an inch more than the pattern suggested before starting my decreases because I wanted a lots of "flop" to my hat. It's beautiful. My family members even looked up from their device voids to compliment it. Now, please lets have that super cold winter that everyone talks about but never actually happens.